Noosa Main Beach is one of the world’s best beach spots – I know, I know – we’re probably biased locals but it really is amazing! Even Lonely Planet agrees! Located on the eastern coast of Australia, Main Beach Noosa — or Laguna Bay is situated in the town of Noosa Heads near the Noosa National Park and Noosa River. Imagine a long bank of clean sand nestled by the native landscape, mild surf, and popular villas. 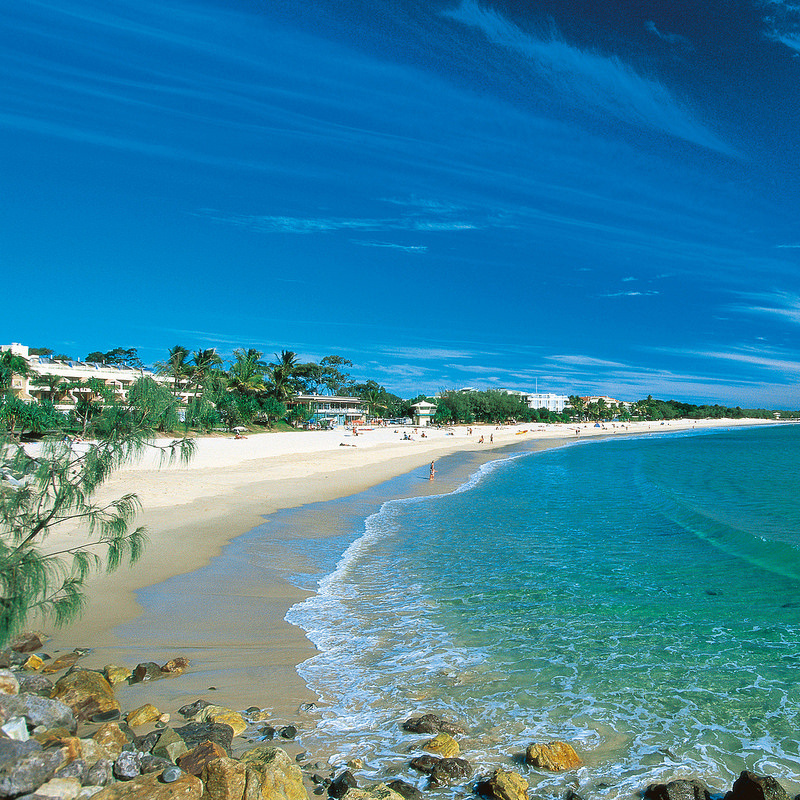 It’s what makes Noosa one of the most desirable destinations for visitors. The north-facing bay naturally shields beach-goers from dangerous waves and cold waters, which makes it ideal for families with children. Surfing Lessons in Noosa are available for those interested in surfing (it’s a world-destination for all surfers-alike), while other activities like kayaking and boogie boarding rentals can be accessed as well. The shore itself is flat, stretching only several miles before the mouth of Noosa River. Visitors can walk the boardwalk, said to be narrow but accessible for those looking to explore the expanse of the beach. Nature lovers can skip from the main beach to the adjacent National Park, home of Australia’s spectacular wildlife. The beach is open year-round, and contrary to the high traffic Noosa Beach receives, the area is kept rather tidy! You will not be without choices for cafes and restaurants in Noosa. Resorts and trendy restaurants are within close proximity, but most places provide nice, casual environments for kids, too. Cafe Le Monde is a favourite recommendation made by tourists, along with Noosa Surf Club. Also, if you’re looking to save money but still want that unique take of Noosa, visit 10 Hastings Street Cafe. The Added Bonus: Noosa International Food and Wine Festival takes place in May. The festival just held its twelfth year, a well-established event for food and wine. If you plan to stay in Noosa, there’s plenty of Noosa holiday accommodation options close to main beach.